Planet Fun is Europe’s Largest Portable Theme Park! Our dedicated team of professionals ensures that each of our events are delivered to the highest possible standards, ensuring your visit is thoroughly enjoyable, time and time again! At our events you can expect to experience fun, excitement and thrills! With up to 60 hand picked attractions at different events there really is something for everyone including the younger thrill seekers! We pride ourselves on offering truly affordable prices and for most of our events we offer Unlimited Wristbands which can be bought in advance online. Our mission is to provide untivalled fun for all of the family at each of the events we deliver or attend. 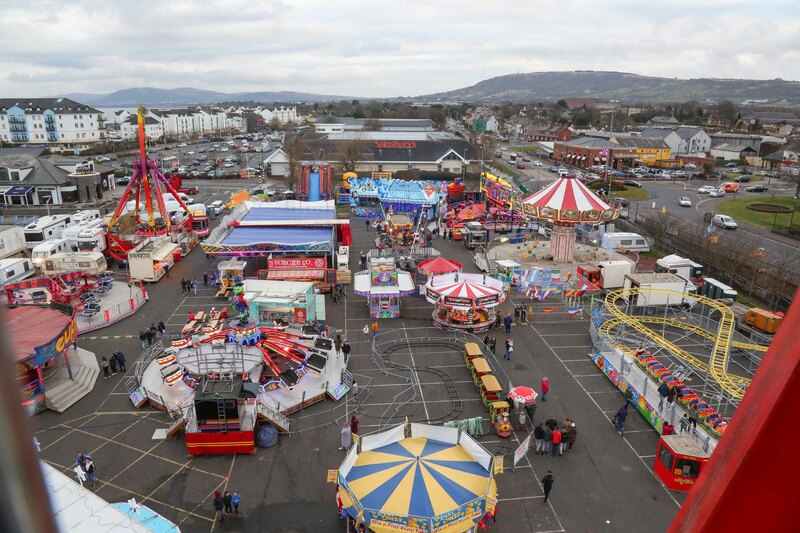 If you are looking for a fun filled day then Planet Fun is most definitely the best travelling FunFair in Ireland. Planet Fun has been operating in many different locations in Ireland for over 20 years and it’s our unrivalled experience that puts us head and shoulders above the competition. We look forward to welcoming you soon to our next event in Ireland. I consent to Planet Fun - Funfair Northern Ireland & Ireland collecting my details through this form.